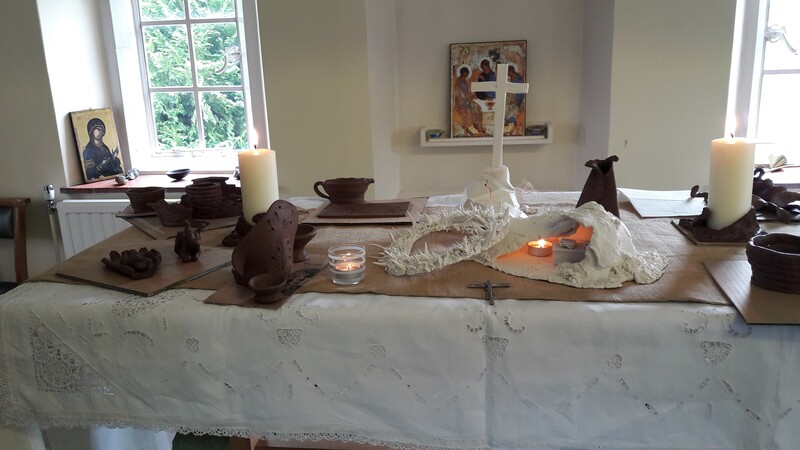 We were delighted recently to welcome Mary Penley to lead a “Prayer through Clay” Quiet Day here at the Convent. The Quiet Room on the Guest Wing provided a very prayerful space where participants could explore how the expressive medium of clay could enrich their prayer. Mary both as a potter and a spiritual director, sensitively led the Day which closed with an act of worship, offering on the altar all that had been created. The Day was much appreciated and described as “inspirational” by those who participated.